What countries can I call with my anywhere minutes? Anywhere minutes allotted in the bundle include all local non-Digicel numbers, Digicel Regional, USA, Canada and UK landlines. How do I sign up for an LTE bundle? 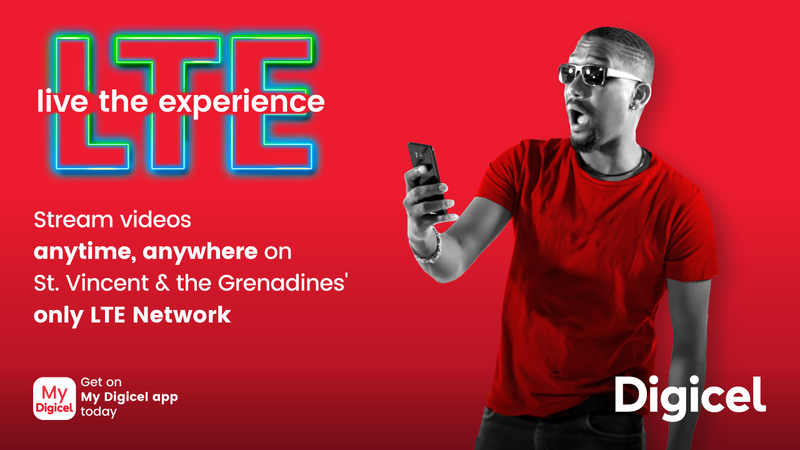 To continue to access LTE speeds customers are encouraged to sign up for one of Digicel’s Freedom Plans. New Postpaid customers may visit an authorized Digicel dealer with the required documents in order to activate a Freedom Plan. Existing Postpaid customers may switch to one of the new Freedom plans by calling customer care or visiting an authorized Digicel dealer. Add-On bundles can be purchased via My Digicel and Web. Free Benefits of Unlimited WhatsApp and FREE YouTube, Playgo and Local News content will be activated upon the activation of the Freedom Plan. Roam Like You’re Home Caribbean will be activated upon activation of the POSTPAID MAX plan. More about free 2 hour streaming? Streaming hours are broken into two parts, 1 Hour PlayGo/Local content and 1 Hour for YouTube. With Local News Content Add-On, you are able to stream SVGTV. All Add-ons must be accessed via the My Digicel app which is available 24 hours a day. With Local News Content Add-On, you are able to stream SVGTV, only when accessed via the My Digicel App 24 hrs a day. How do I qualify for two hours of free streaming? Postpaid customers can simply activate a Freedom LTE bundle and get two hours free streaming daily. How would I know when free streaming has been exhausted? Watch live sports, regional events, local news, the hottest shows, movies and kids programmes whenever and wherever you want. Want to relive the best TV and movie moments? Browse the On Demand library with over 4500+ hours of the most popular series and cinematic releases.